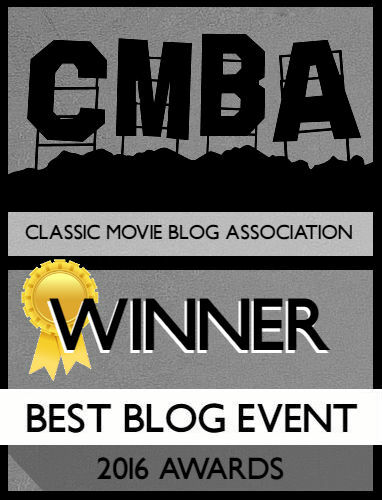 Heidi is one of two book adaptations Temple immortalized, although A Little Princess wins out as my favorite adaptation, both book version and film. My only previous experience with author Johanna Spyri’s novel was a 1990s Wonderful World of Disney version that didn’t withstand the test of time. Unfortunately, Temple’s version didn’t pique my interest either. A showcase for Temple is exactly that, but where Curly Top’s story was generic enough in the story so as not to overshadow the star, with an adaptation of a popular novel there’s no room for star thrusting, leaving the narrative and Temple to duke it out for supremacy. 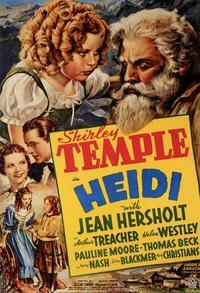 An orphan named Heidi (Temple) is left with her grandfather (Jean Hersholt) in the Swiss Alps. Struggling to melt the old man’s heart, Heidi is torn between the mountains and the glittering world of Frankfurt where she becomes the companion to an invalid child named Klara (Marcia Mae Jones). When Temple gets to Frankfurt the movie turns into a “nature girl turns good” story akin to Bright Eyes. The appearance of Marcia Mae Jones as Klara, returning after Princess, strengthens the connection. Unfortunately, the same problems plaguing the first half follow Shirley, but this time they’re masked better. Again, Heidi is taken to a place she doesn’t know, learns to love it, and just as soon as she comes to enjoy her life she’s absconded with again. The multitude of times Heidi is kidnapped becomes laughable, and the motivations of the “villains” are equally dubious. It’s not enough to make Aunt Dete a villain, a logical point, but they add the villanious Fraulein Rottenmeier (Mary Nash), Klara’s babysitter as a central antagonist for the latter story. As if her name doesn’t speak volumes, her lone characteristic is she’s EVIL. Why is she against Heidi? Especially if it takes Klara off her hands? This need for explanation would bother me so much, but the third-act climax revolves around Rottenmeier kidnapping Heidi – again! – and selling her to the Gypsies. It all comes off as a big F-you to Klara’s family and a weird continuation of the hatred for Heidi. And who could hate Heidi? Temple’s persona was that of the foundling angel, but here Heidi becomes Heidi Christ, right down to curing Klara’s inability to walk – in the book it was simply a psychosomatic illness, but the script has it come off like a serious disability. Heidi’s ability to master any task set in front of her, playing matchmaker to a couple in the Alps, there’s nothing Heidi can’t do and that puts the audience at a distance from her. The close-up of Heidi at the end, as she prays for everyone she’s met, bluntly reminds the audience this is Temple’s film first, and Heidi’s second. Part of the movie’s slowness must be attributed to how large Temple’s shadow is, and the fact the script never makes Temple into a character. Temple isn’t Heidi, Heidi is Temple. This could also be the reason Temple is the weak link in the cast. When Heidi is funny with the animals, singing, and generally providing cuteness, Temple soars. Older than when she started acting (she was nine at the time of release), there’s an ease and familiarity to this role. She’s comfortable striding into a room and delivering her brand of merriment. When she’s tasked with conveying sadness or stress, she has a tendency to start yelling her lines – coupled with a script content to overuse cries of “grandfather, grandfather.” Jean Hersholt is amazing as Temple’s grandfather, turning in a robust performance in a role that could be one-note. Marcia Mae Jones, whom Mrs. Temple feared would overshadow Temple like Jane Withers, is also exemplary as the invalid Klara. Klara was a character I never identified with, especially with her demands and belief she deserved everything in the world. Jones picks up where Temple leaves off, creating a character who has flaws and attributes in balance. Heidi’s appeal is understandable, especially to fans of the original novel. Temple in the role left me cold, with her yelling angelic character feeling empty, too perfect to exist and thus elevated above us for much of the movie. The supporting cast bring Temple down to Earth, but everything about this movie is created to enhance its star. If this wasn’t an A-list picture created solely to please its actress there could be a greater depth. If anything, Temple would be better suited as the spoiled Klara. Hi Kristen. I enjoyed your review and intend to read all of the ones you’ve written. That said, I politely disagree with something you said: Regarding Fraulein Rottenmeier: It’s crystal clear why she is “against Heidi.” It isn’t a matter of taking “Klara off her hands.” The woman obviously was delusional about her place in the Sesemann household and thought that if she and she alone was Klara’s sole friend, guardian, teacher, and “mother-figure,” that Herr Sesemann, a widower, would eventually clue in to how invaluable Fraulein had become and, of course, in her fantasy mind, marry her. When Heidi comes along and shatters this illusion, taking things so far as to convince Klara she can walk when the Fraulein has told Klara repeatedly that she mustn’t “excite” herself, well, this is way too much for the Fraulein and she loses it and destroys the glass snow ball that Herr Sesemann gave Heidi as a Christmas gift. This is clearly the beginning of her downfall and Herr Sesemann immediately dismisses her (although not immediately enough as he stupidly allows her to stay one more night). The Fraulein, convinced that Heidi has destroyed her last chance at happiness, decides to destroy her happiness too by selling her to the Gypsies, a cruel suggestion from the other witch in Heidi’s life, Aunt Dete. It is possible that this was the Fraulein’s “big F-you to Klara’s family,” but I think it has more to do with her “continuation of the hatred for Heidi” — which cannot be possibly viewed as “weird.” The woman was an effed-up mess and she decided she was going to destroy Heidi for having “destroyed” her chance at happiness (as if Herr Sesemann would have looked at her twice!). Also, you are saying this film was created to “please” its star? Is that true? I’d like to know where you got that information… I’m not saying it’s not true, but I can’t imagine the studio made the movie to make Shirley happy. But even if they did, to have cast her as Klara would not only have been a mistake, she would have never been able to pull off Klara unless Klara was the star of the movie. Shirley, until she was older, was not a supporting player, nor should she have been. And maybe she did “yell” a bit, but I did not find her cold in the least. It’s true that nothing could ruffle her feathers… but then again, when the policemen are trying to pull her off Gramps and haul him away into the slammer for a night of reflection, if her tears did not touch you, I don’t know what could. All of this said, I did enjoy your review, and I laughed when I read your line Heidi getting hauled off one too many times, and I did think that she was a little too quick to “matchmake” the clergyman… but none of it bothered me. It was about a child who touched people’s lives and whether Shirley was only Shirley and not Heidi, she touched mine, and a film can live on well past its shelf life by doing just that… touching someone emotionally. 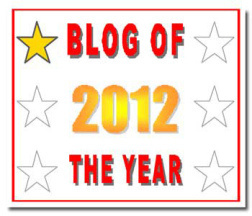 Anyway, happy holidays and I look forward to reading the rest of your reviews. Regarding our villain, it wasn’t so much that I didn’t understand, just that her motivations never felt properly conveyed (or maybe I wasn’t paying enough attention). 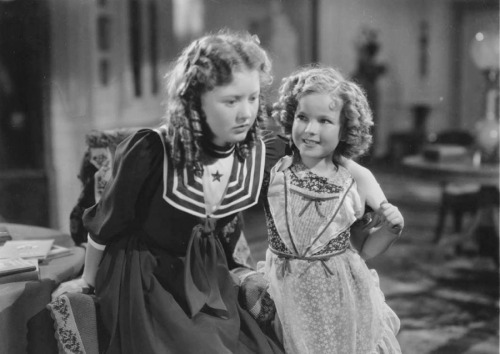 As for the movie being a vehicle to please it’s star, it’s well-known that this was made at the height of Temple’s popularity – this and Wee Willie Winkie were her big hits of 1937 – and, despite fears that her popularity was waning due to her age, she was still the number three box office draw of the year (you can see that via Wiki and TCM.com). 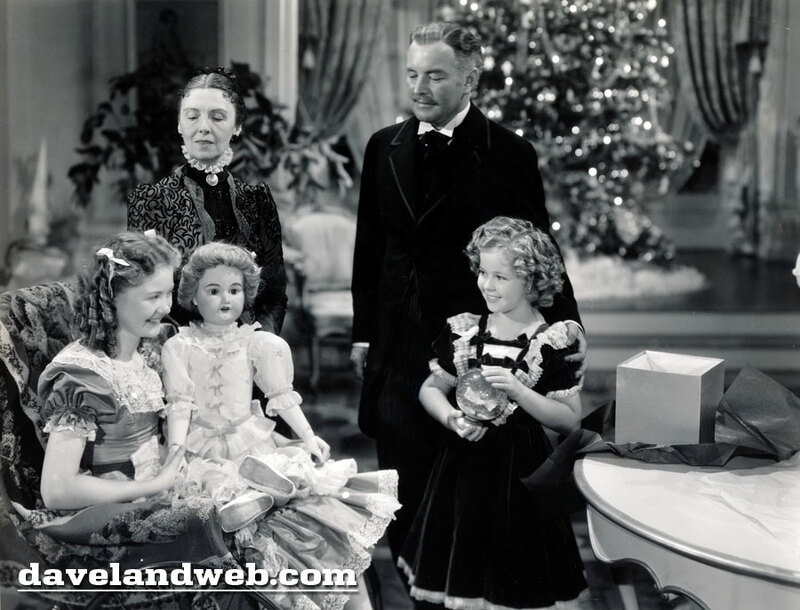 With that, the movie makes it known that this is all about creating St. Shirley, with the overabundance of close-ups and Mrs. Temple’s well-known fears that the young girl playing Klara might overshadow her and thus trying to reduce her scenes. In that case, I use “please” in the sense that the movie works in favor of its lead, thus the overabundance of cutesy moments and dance sequences to sell its star. I’m not saying this was detrimental to the film, simply saying that I couldn’t really sympathize with her because she’s so perfect and the movie knows this. I’m glad you enjoy the review in spite of our disagreements (one of the reasons I love interacting with people lol). Happy holidays to you too!